Splash pages - you gotta love 'em. A place where the penciller can hit the reader full-throttle, with a large dose of illustrated 'wow'. After last week's clash of the titans that was Superman vs The Amazing Spider-Man, this week I wanted to go for a team-up just as iconic, Jack Kirby and inker Joe Sinnott on the Silver Surfer. I love Jack's take on New York City here, it could easily be New Genesis it looks so futuristic, and Sinnott's inks just make the perspective all the more stronger. 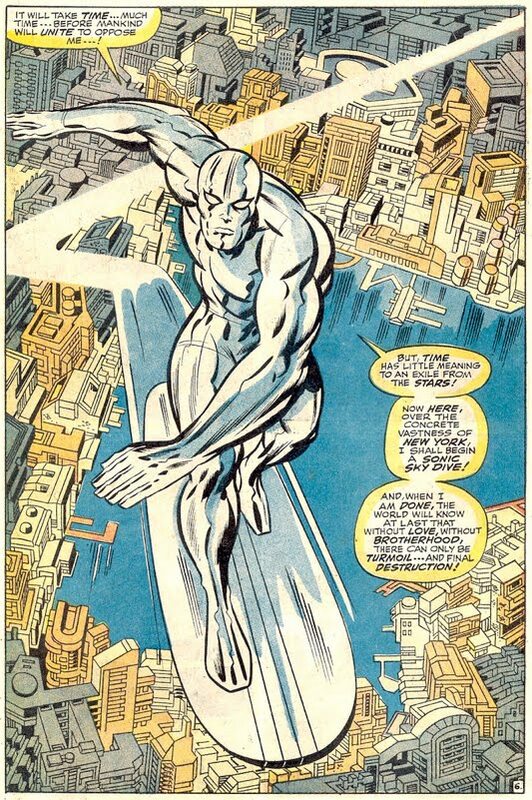 Plus no one draws the Surfer like the King! If you want to see un-coloured version of this high-flying spread from Fantastic Four Vol1 #72, check out the awesomeness that is GiantSizeMarvel.com - be warned: it's one highly addictive chunk of 'net! I haven't read Marvel in a long time, but I always loved the Silver Surfer, tho' it looks like he's gotten pretty grim in his internal monologue. 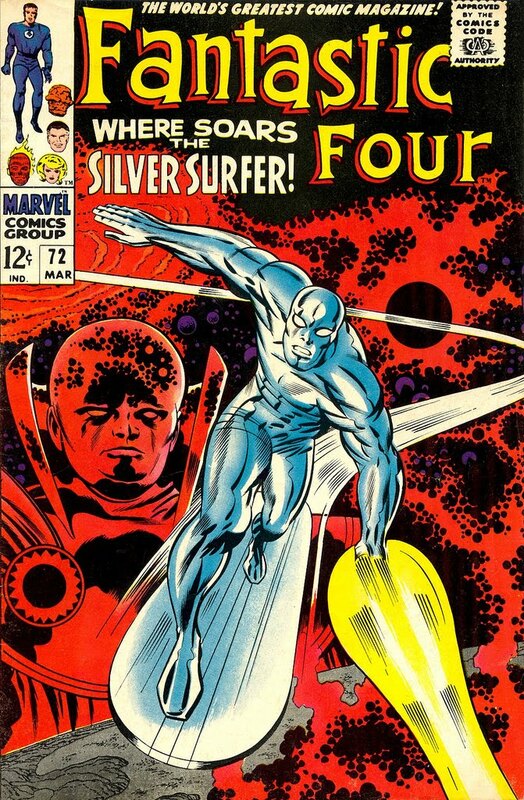 Hey ToB - yeah I'm a big fan of the Surfer too and I think it's one of the sweetest concepts Marvel has going. But you are right, ol' silver britches does seem to change his moods quite a bit over the years, with each new writer. That said I look forward to seeing where he's headed after Thanos Imperative!